Get a fair and demystifying presentation of the Ferber method along with quotes and videos representing and featuring Dr. Richard Ferber's sleep training method! Read a discussion where I present my concerns about the potential long term emotional and existential consequences of "ferberization"! Get a quick introduction to the gentle alternatives to crying it out which all involve parental presence! And finally read about my own brief encounter with Dr. Richard Ferber's method! The Ferber Method Sharply Divides Parents and Experts into Devoted Fans or Sceptic Critics! First of all, who is Dr. Richard Ferber? Well, Dr. Richard Ferber is certified in Pediatrics and Sleep Disorders Medicine and is currently the director of the Center for Pediatric Sleep Disorders at Children's Hospital in Boston, Massachusetts, USA. Dr. Richard Ferber is best known for his sleep training methods outlined in his book Solve Your Child's Sleep Problems, first published in 1985. The pediatric critics who strongly oppose "ferberization" believe that Ferber's sleep traning method is by no means an optimal way of solving babies' sleep problems. The critics even go as far as to say that implementing and completing the Ferber sleep training program may cause emotional damage to children long term. On the other side of the fence we find the pro Ferber pediatric doctors who claim that the Ferber technique isn't emotionally detrimental to children. Their arguments are based on the belief that children cannot become emotionally scarred from periodic crying. In this camp you'll find pro Ferber parents who have a good personal experience with the Ferber sleeping technique. These pro Ferber parents would therefore warmly recommend this sleep training technique to other parents who are facing infant sleeping problems. A Video of Pro, Con and Neutral Expert Stances to the Ferber Method! To better illustrate these opposing views for you, you might like to watch this video below which features expert spokesmen from both camps. In the pro camp you'll find Dr. Scott Cohen, author of Eat Sleep Poop. 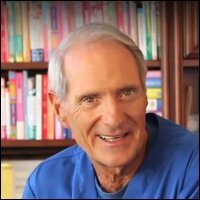 In the con camp we have Dr. Bob Sears, author of The Baby Book and son of the famous Dr. William Sears and Martha Sears. Sort of in between we find Dr. Lynne Kenney who has written The Family Coach Method. Enjoy the video and when you return we'll proceed to getting rid of some of the confusing myths of Ferber's method! Now, if you are familiar with my parenting philosophies which have a solid basis in attachment parenting, you will probably have guessed in which camp I have set up my tent. Yes, I'm in the con camp like dr. Bob Sears! However, even though I'm sceptical of the sleep traning method presented by Dr. Richard Ferber, I will do my very best to represent it fairly so that you may have the best basis possible from which to form your own opinion! And representing the Ferber method fairly means first of all getting rid of common simplifications and misunderstandings. Being Fair to Dr. Richard Ferber by Getting Rid of Simplifying Myths! One of the natural things that always seem happen with controversial theories is that in the course of being transmitted from one person to another they become first exaggerated and simplified and then slowly transformed into something that isn't true anymore! In other words, they become myths! Now before explaining to you what the Ferber sleep training method really is about, I think it's very important to first get rid of some of the confusing myths that seem to surround it. "Let you child cry it out all alone in his room until he is so exhausted that he eventually falls asleep"
This is not what Dr. Richard Ferber advocates! "Ferber's method will work for all children"
Dr. Richard goes at great length to point out that the parents' jobs are first and foremost to find out why their child isn't sleeping. Further he says that not all circumstances are ideal for his sleeping technique, e.g. if the child is ill, has faced emotional trauma etc. Okay, now that we have cleared out some of the myths in our path, let's continue with discovering what Dr. Richard Feber says about his method. First of all Dr. Richard Ferber strongly emphasizes that his sleep training is no way for newborns. It's for 'older' babies. Dr. Richard Ferber suggests that once your children reach 6 months of age you can teach them to soothe themselves to sleep by putting them to bed awake and leaving them for gradually longer periods of time. Falling Asleep with Your Presence Confuses Your Child When He Wakes up Without It! Ferber states that everyone, even adults, experience partial wakings several times throughout the night. We groggily assess our surroundings, and if everything seems alright we fall back to sleep. However, if we are unsure of where we are, we will come more fully awake to allow ourselves to further assimilate with an unfamiliar environment. For example, if you fall asleep on the sofa while watching television or at your desk when working late, you may suddenly awaken in a panic until your surroundings begin to make sense. He argues that a similar thing occurs when we rock or breastfeed our babies to sleep and then place them in a crib alone by themselves. 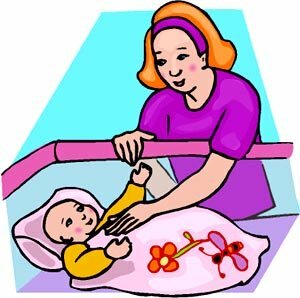 When they wake a few hours later, they experience fear or uncertainty about the changed environment (since they were unaware of being placed in the crib) and will come fully awake, begin to cry, or become difficult to re-settle. Ferber believes that to teach our children to sleep through the night we need to ensure that their 'sleep associations' remain consistent. In other words, they need to fall asleep on their own, in their own bed, and stay there for the entire night – even if they cry. Basically, he suggests that parents should complete their usual bedtime rituals – bath, feeding, songs, cuddling – then place their baby in the crib when he is sleepy but still awake, so he gains the experience of falling asleep on his own. The parents should then leave the room, and if the baby cries, they should wait one minute before returning. Patting and comforting are encouraged, but Ferber says that parents should not pick up or feed their baby. Once their baby is soothed, parents should leave again, but wait 5 minutes before re-entering the room. Intervals are increased to a maximum of 15 minutes and continue until the baby falls asleep. Therefore the method is also called "progressive waiting" or "gradual extinction". And even though there is most likely a degree of "crying it out", it it's only fair to say that it should not be confused with what is called "extinction training" or complete "crying it out" where the parents leave their child to fall asleep on his or her own and don't return unless something is really wrong. Despite the heated debates on and the worldwide practice of the Ferber sleep traning method, as far as I know, there is actually not any concrete research done on the long term effects of this sleep training method. However, other studies of infants do tell us that crying does put stress on babies and as a consequence their blood pressure rises along with their cortisol production. However, the emotional and existential side of the coin still remains largely unanswered. That means we can actually only postulate and resolve to 'qualified' guesswork as regards potential long term emotional effects of this particular method. But now having said that this is exactly what I will do below. I will present some hypotheses of the potential long term effects the Ferber Method. Now that I have presented you with the essence of the Ferber sleep training method, I would like to address some of the things in the method that concern me. I will raise some questions that I cannot answer as research hasn't been there yet but perhaps by presenting the questions, you may find your own personal answer! What Is It Actually That the Sleep Training Method Teaches our Children? - To Sleep or to Give up? Dr. Richard Ferber states that the goal of his method is to teach infants to self-soothe so that they may learn to fall asleep without parental presence. Does the Ferber method really help children LEARN how to self-soothe or fall asleep or does it rather teach children that they might as well fall asleep because they've found out that expressing their need for comfort and presence is of no avail. In other words, are they falling asleep because they've GIVEN UP trying to reach out. I know these are very provocative questions but I have difficulty seeing how the method actually provides the child with any real tools to learn how to sleep. Rather, the way that I see it, the tools (typically the presence of a parent) is being taken away before the child has had any chance to develop any by himself or herself. Does the Ferber Sleep Training Method Complicate the Development of Basic Trust and Secure Attachment? Crying is a baby's natural way of communicating and signaling his or her parents to inform them of a need. Even toddlers have limited vocabulary and are often unable to express their feelings adequately, so they cry when they are frustrated, angry, scared, sad, ill, lonely, or uncomfortable. My logic tells me that by ignoring the crying (even if it is 'only' for 15 minutes), there might be a risk of teaching the child that there are only certain times when the parents will respond to his or her attempts at communication. This parental non-responsiveness and inconsistency may result some inner confusion as the baby then doesn't know when to expect a response and when not to. And worst of all, what if the baby decides that crying out for the parent isn't worth it overall. What if the baby decides on a general level that "I can't trust my needs to be met so why even bother crying out!" 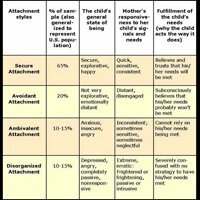 When a child feels he or she cannot rely on his or her needs being met, it may result in what is called insecure attachment. And insecure attachment in children has been scientifically proven to have unfortunate influences on the development of good coping skills, emotional regulation as well as the forming of close interpersonal relationships. 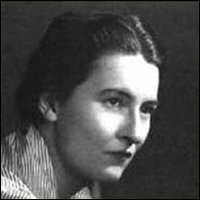 According to Dr. Sears, one of Ferber's loudest critics, children that are not consistently responded to in an affectionate manner may develop what he calls "shut down syndrome", becoming very withdrawn and distrusting. Now this all sounds very dramatic, I know. And if you've been successfully raised with or are successfully raising your children with the Ferber method and everybody's happy and no one's harmed, that's great. But the reason I'm taking this point so far is that I really just want to explore all possible angles of potential consequences so that you may feel confident that you're making the right decision for you and your child. Does the Ferber Method Risk Desensitizing the Parents into Detached Parenting Mode? 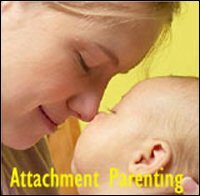 According to attachment theory a baby's crying out is called attachment behavior which aims at activating the caregiver's caregiving bond. 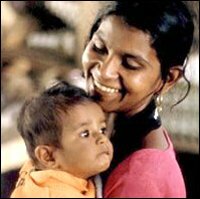 And the caregiving bond aims at strengthening the mutual attachment between caregiver and baby. And a baby naturally attaches himself or herself to a caregiver who is responsive (fulfilling the baby's basic needs such as security, hunger, thirst) to his or her attachment behavior. Letting a baby cry in frustration or confusion most likely goes against most parents' natural instincts. When a baby cries, most of us automatically feel like picking the baby up to soothe him or her. So what happens when we try to shut down that instinct in ourselves - when we try to deactivate our attachment bond? Well, some experts believe that the Ferber sleep training method can actually cause a parent or caregiver to become desensitized to their child's needs since they have to shut off their instincts in order to resist giving in to their baby's crying. The way that I see it, intuition, gut feeling and tuning is are true gifts when it comes to parenting. Your intuition and ability to sense your child is extremely powerful when it comes to knowing what it is your child needs and meeting it. May Crying It Out Have Physical Consequences? Many critics believe that when a child is left alone and unattended to, he might experience both panic and anxiety. Now as mentioned the Ferber method does not encourage completely leaving your child all alone all the time. There is a certain degree of periodic parental presence. However, some level of crying it out is involved and as already mentioned, continued or excessive crying can increase blood pressure and heart rate and flood the brain with adrenaline. Not to mention that becoming extremely upset may cause your baby to display strong physical reactions such as beginning to shake or even vomit. Dr. Richard Ferber claims that this should not interfere with the sleep training as long as your child isn't sick or otherwise emotionally traumatized. He actually recommends that if your child wets himself or vomits, simply clean him up, put him back into bed, and continue as if nothing happened. Now, Dr. Richard Ferber has a long history of medical expertise in physical health - not infant psychology. So perhaps vomiting doesn't physically harm the baby long term but what about the emotional and existential effects? I have no qualified answers only qualified guesses! 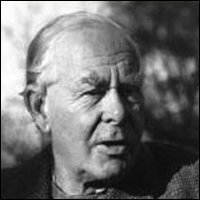 Is the Ferber Sleep Traning Method Just a Typical Expression of a Western Culture that Celebrates Emotional Independence? The value of falling asleep by oneself is not a universal ideal! Quickly becoming physically or emotionally independent is not something that all cultures naturally embrace and consider a goal for their babies. 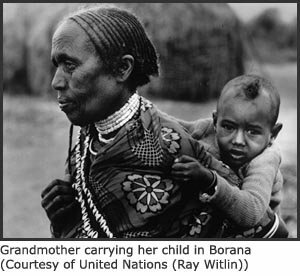 In some cultures young children are physically attached to their mother who carries them around where ever she goes. In other words, in some cultures children's strong needs for attachment is fully accepted and integrated into everyday life! It seems to me that in our culture we are so very busy with trying to make children physical and emotional independent as fast as possible. Many parenting books seem to be so focused on transmitting the message that good children are independent children that play and fall asleep by themselves and less successful children that have a larger need for security need to learn become more independent. The parents need to learn to 'set limits' to affection otherwise they risk that the child will never become independent ... just spoiled. This mindset is very rampant in the west and somewhat sad I think. To me these ideas feel like trying to force feed babies with adult, western 'maturity' values. It does not make sense and it really isn't fair. A baby is a baby, not an adult! Don't get me wrong, I think there are many good aspects of our modern, individualistic society in terms of freedom of choice etc. but one of the downsides I think, is the typical cultural idea of what makes a person strong and successful. According to western ideals a strong person cannot emotionally depend on anybody and is considered weak if he or she shows other people his or her basic emotional needs. Needs and emotions are considered a pain in a certain place as they are considered in the way of productivity and effectiveness! Unfortunately this 'effective' mindset affects the standards we set for our babies. A needy baby is both in the way and does not live up to western independency ideals. So if we raise our consciousness a bit we can ask ourselves: for whose benefit is all this independency training? Is it done to make our children more whole and happy or are we just unconsciously shaping our children to fit society's expectations and thereby making life easier for us, the parents? I'm sure my own meaning on the subject shines through but what do you think about it? The Sears and their supporters believe in a more gentle approach when it comes to teaching children to sleep through the night. 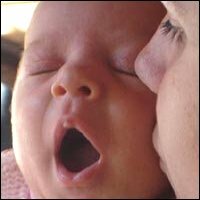 According to the Sears there are several ways to help your baby sleep faster and better. One way to teach your child how to sleep might to try co-sleeping, allowing your baby to sleep in the same room or bed with you. No only will this provide more bonding time, he says, but it is much more convenient to have your child nearby when he or she awakens in the middle of the night. The Sears claim that sleeping through the night is something every child will eventually master, and when a baby feels comforted and secure he will automatically begin sleeping for longer periods of time until he is able to fall asleep without your help. Just if you're wondering, yes, I did at one point try something along the lines of the Ferber sleep training method with my son. Being completely exhausted by lack of sleep with my high need baby son I was willing to experiment. At the time I didn't know, what I was recommended was called the Ferber method. To me it was just a sleeping technique that my appointed health visitor suggested to me - probably because she felt that my son was wearing me out. In short, I didn't complete the training, and no, I wasn't consistent. Consistency in the training is something which Dr. Richard Ferber describes as one of the main keys to success (experts say that the training may vary from a few days to a few weeks). I only tried the method a couple times and then consciously chose not 'complete' the training. Easy answer: It didn't feel right! My child was crying constantly and coming into the room to soothe and comfort him with just my hand didn't really soothe him much. He knew what he wanted and that was my complete physical presence. And denying him that need for physical closeness felt very wrong! So how did I proceed? Experimentation, testing, testing and a bit more testing until something worked! Then after some time, I can't precisely remember when, my son got a fairly big crib and I could lie down next to him in his bed until he was asleep. This particular technique has been very successful for me. And that my son is now at the age of three almost four, and I'm still doing it! And guess what: my son loooves going to bed! Normally he falls asleep within 10 minutes and he never resists bedtime because to him it equals closeness and intimacy. Does he still wake up at night? Yes, sometimes he does, sometimes he doesn't. When he does, sometimes it's enough for me to come in a just put my hand on him and then I can return to my bed. At other times he wants me next to him for a few minutes until he falls asleep again and then I can go back to my own bed. In short, not only has this method worked for us, we also both enjoy it! I guess the whole point here is, just try out different things while being in close contact with your gut feeling. Every time you try some new strategy ask your intuition: Does this feel right? And when you ask your intuition, you're not supposed to think. You're just supposed to feel. If this seems difficult, try allowing yourself only a few seconds at most to provide yourself with an answer. With only a few seconds to your brains disposal, it doesn't have time to provide you with a well thought through answer and you're just forced to just express whatever it is you feel. And when the answer comes, trust it! You know your child best. Better than any formal advice or rigid rules!